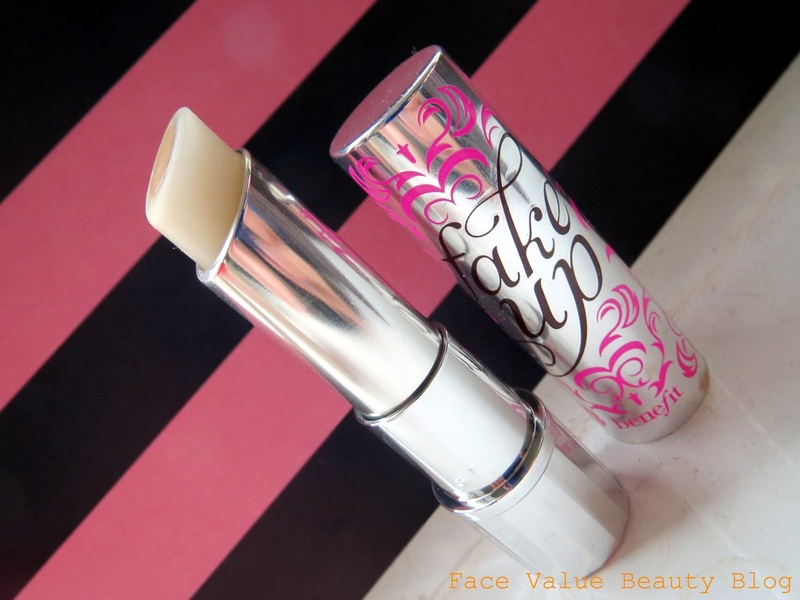 Bye-bye Bags with Benefit Fake Up Concealer! I don’t know about you but I’m really not getting enough sleep these days. Even when I’ve finished work early and have a quiet night in planned, I somehow end up dilly-dallying around at the end of the night. More often than not I’ll get carried away watching YouTube before realising that wait, it’s actually now midnight. Waa. Or I’ll start a quick session of Candy Crush only to realise that it’s suddenly been an hour and I still have to brush my teeth and take my makeup off. And don’t eeeven get me started on my night routine. I’ll think about trying a new facial oil, a brow enhancing serum, a new eye cream and before you know its taken me 40 minutes to get ready for bed. Of course, along with no sleep comes my good friend Mr Bags. You know, the morning after when you look in the mirror and Mr Bags has put up residency under your eyes. And that’s when my Benefit Fake Up steps in. It’s a clever, hydrating, crease-control concealer designed to hide Mr Bags and fake your awakeness! You stroke it under the eye and then pat it in. See ya later Mr Bags. The outside ring is really silky and is full of all sorts of goodies like Vitamin E and Apple Seed extract. The inner ring is the actual concealer and together they provide a light and moisturising cover. 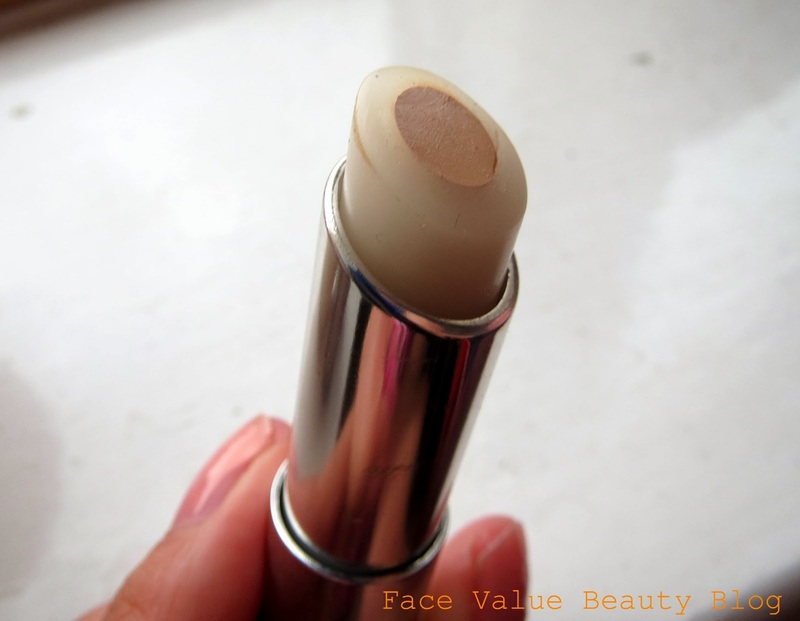 I also loved using Fake Up as a creamy concealer for those annoying spots which have almost finished living on your face but have dried up into flaky little patches in the process. The moisturising ingredients help to overcome this, whilst maintaining cover throughout the day. 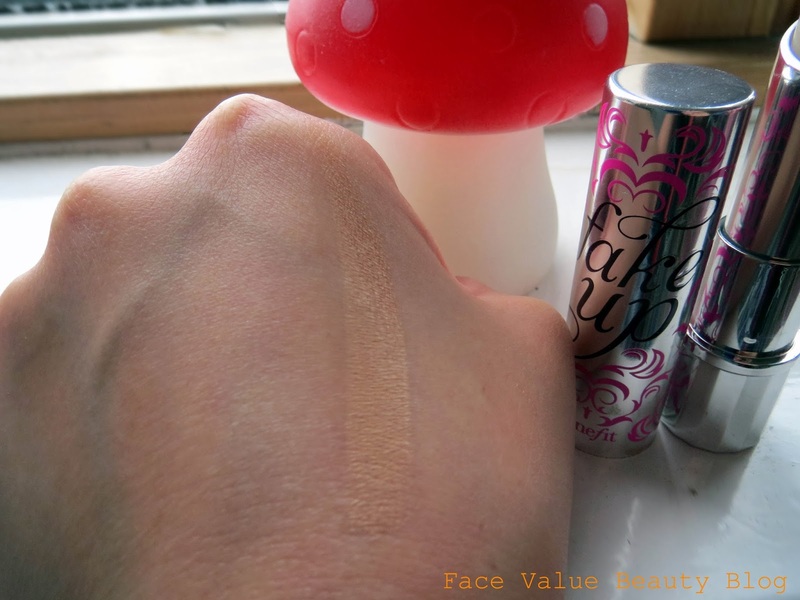 Benefit Fake Up is meant to be crease free but I definitely saw some lines appearing during the day when worn alone. To be honest, the only way to really avoid any creases under your eyes is simply to stop smiling, or talking, or eating but HAVE NO FEAR my smiling, talking, eating friends. I have found a way to overcome this! Face Value Tip – after applying under the eyes, dust with fine setting powder to prevent creases and maximise it’s staying power. My faves are Urban Decay Razor Sharp Finishing Powder and Elf HD Setting Powder. The only downside is the range of colours. For me, light was too light but medium is also a touch too tan. I went with Medium in the end though as it’s more easily corrected. I think I actually preferred using this as a blemish concealer but I really like it and would probably buy Fake Up again. I used to use quite heavy eye concealer and what I like about Fake Up is that it won’t drag delicate eye skin. Result. Have you tried Benefit Fake Up? What do you use to conceal Mr Bags? And what distracts YOU when you should really be getting ready for bed? Candy Crush? You Tube? Or a whole new can of worms? Previous Post Halloween Inspiration: Flirty to Frightening, it’s up to you! Wow, results look amazing – I have a real issue with dark circles around my eyes and can't seem to find any makeup that will help! Will definitely give this a go though!